The rest of the measurements, however, seem a lot more reasonable. I wasn't aware the turret armor was so thick. 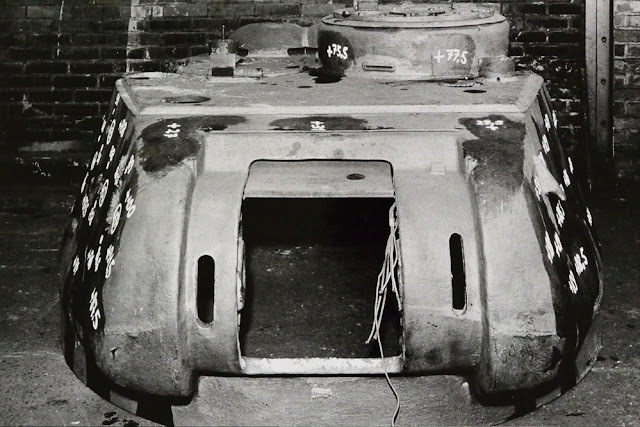 Could this be some post war up armored version? Yeah, almost 100 on the side near the front? (Sort of makes sense, though, when you look at the way the turret side thickness increases towards the bottom). Curious nothing was stenciled on the turret front face. And why was the chunk of armor cut out--metal analysis? And the holes? I guess they did some firing tests on this turret? 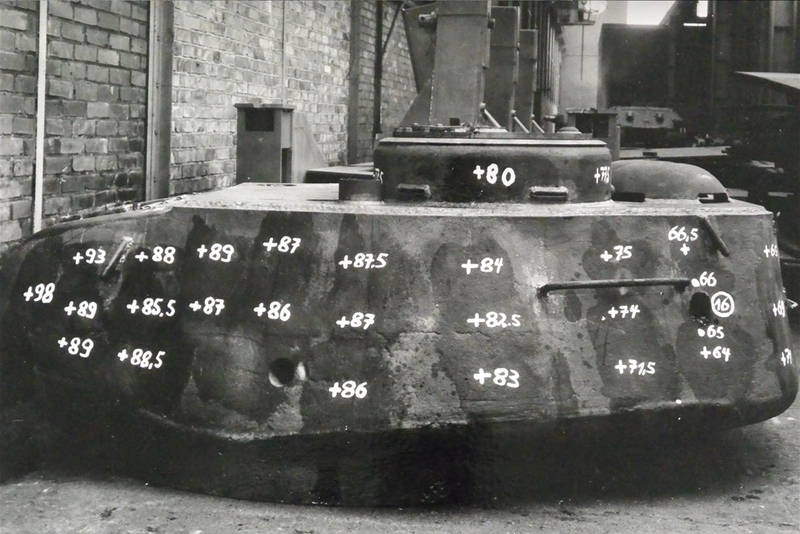 The requirement was 90 mm, so a casting that is nearly 100 mm thick is not impossible, especially if this is a wartime production turret. Wow, a wartime production vehicle still in action until almost 1961? Says something about the robustness and ease of maintenance of the design. I'm left wondering if the '150 mm' could actually be correct, but simply not ballistically significant (i.e., maybe in a sliver along the intersection of turret side and turret front). But for intel purposes, citing that thickness wouldn't be meaningful, so maybe it's just a mistake. Shots on most tank turrets that hit where the side turret and front turret armor meet will hit thicker armor. I'd also wonder if the side turret armor increasing from 65 mm to 100 mm towards the front is production quirk or was standard. 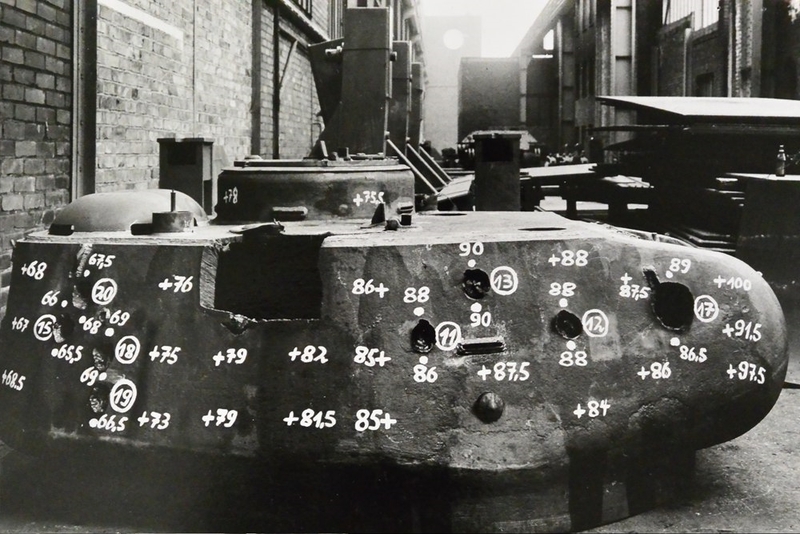 You'd think that there are plenty of T-34/85s around, the measurements would be easy to check, and everyone and his brother-in-law would have gotten a sample T-34/85 and did these measurements. Surprised I've not seen photoss like this before.